Saturday morning was a busy one for me! I was up early and took advantage of that to get some work done on the bike so that I could have a play on Sunday. The first thing I replaced was those front wheel bearings. There wasn't much play in them, just a tiny bit, but I like my bike to be spot on. Once I'd done that, I fitted a new front sprocket, then popped down to ET James to grab some new rear sprocket bolts, the missing fork guard bolt, some thread lock and a new Renthal O-ring chain. As soon as I got back I fitted a new Supersprox rear sprocket with those fresh bolts and thread lock, got the new chain on and adjusted and sorted out the fork guard. While I was working I had another cable tie on the front brake for good measure, then I did my usual checks and topped it up with fuel. Sunday morning was great fun! What a stunning day it was and I could hardly wait to get out on the field and muck about doing wheelies, jumps and practicing little techniques. After I'd quenched my thirst for play riding, I set about putting in a few laps on the enduro test loop. I really feel like I'm gelling with the bike now and starting to get the best out of it. Since I first set up the track almost a year ago, which is tight, technical and demanding, I have been able to knock 40 seconds off my best lap time (around 3:30 to begin with), so I'm pleased to be heading in the right direction and I know where I can make more time up. It's absolutely true what they say, there's nothing like time on the bike and gaining experience! The Tarenig Rally this Sunday will be my 10th event of the year and my 4th ATRC rally. I'm really fired up for this one and I can't wait to get going and hopefully fight for another class win! 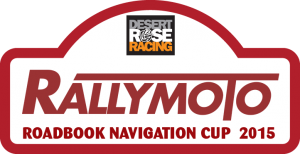 I'd like to say a big thank you to the RallyMoto club for arranging a Wales Air Ambulance donation option on the entry form for the Tarenig Rally, and especially to all the generous riders who have donated, what a great community.